Jurassic World: Fallen Kingdom is roaring onto Blu-ray this September, and it’s me, your resident Fallen Kingdom defender, here to give you all the details on what to expect from the home video release. Don’t come looking for deleted scenes or commentary, you won’t find any on this release unfortunately, but there’s a whole lot of behind-the-scenes content with over an hour’s worth of bonus material. That includes Chris Pratt‘s Jurassic Journals from the set, lots of featurettes, and a number of cast and crew interviews (including Bryce Dallas Howard interviewing press tour BFF Chris Pratt), and a clip titled “Monster in the Mansion,” which features director J.A. 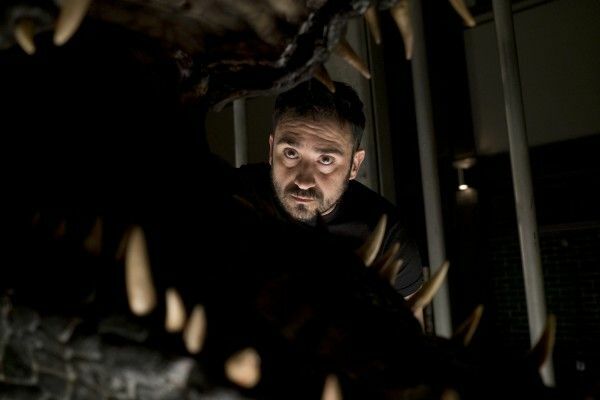 Bayona discussing how his third act set-piece was influenced by Dracula. I’m praying that last one’s secretly a feature-length documentary.